` What is the Difference Between a Septic Tank and a Soakaway? 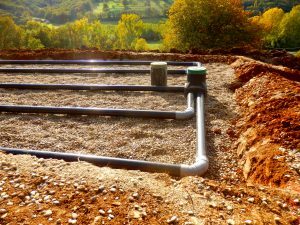 Home / What is the Difference Between a Septic Tank and a Soakaway? What is the Difference Between a Septic Tank and a Soakaway? Soakaways and septic tanks are both excellent methods of dealing with excess waste water. The two, however, have very different purposes, and are often used together to provide the best wastewater solution. The two systems can seem very similar to the general public, and differentiating between the two and choosing the best system for your requirements can be difficult. 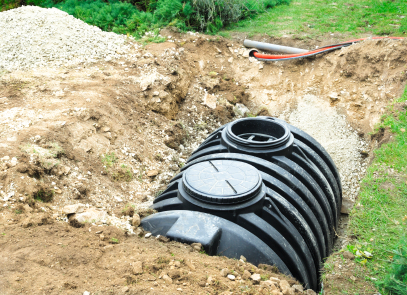 To help you get to grips with the systems, we’ve put together this guide on the differences between septic tanks and soakaways. What is a septic tank and how does it work? 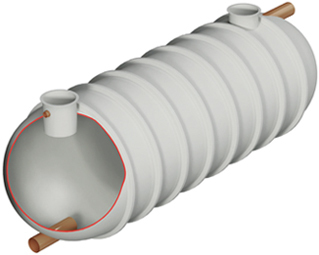 Septic tanks are used to collect effluent and store wastewater and solid waste. A septic tank works on a pH balance and bacterial activity to break down the solid waste, and once the tank is full, it will overflow into a connected drain field, or often, a soakaway. The tank is self-contained and is placed underground, so offers an excellent alternative to main sewage pipes if your property isn’t connected to a main system. 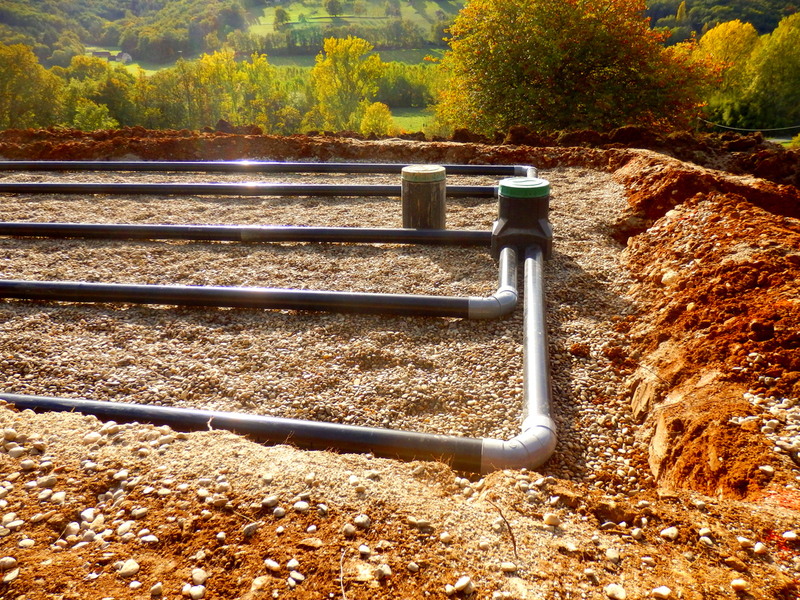 Because septic tanks can treat and dispose of household wastewater onsite, they are often a more economical choice than connecting to a centralised sewer system, especially in rural areas where properties are more widely spread. What is a soakaway and how does it work? A soakaway is a system comprised of a hole dug in the ground and filled with rubble and coarse stones. This allows surface water that would otherwise begin to pool to soak back down into the earth. Often the soakaway is placed away from the flooding area and a pipe connects the area to the soakaway in the form of a gutter or drain. This system is useful for built-up areas that are constructed out of impermeable materials as it reduces the amount of pooling water that can lead to floods. This system can be used as a stand-alone method of wastewater control or in conjunction with other systems, an example being a septic tank. If a septic tank is being used in an area that doesn’t have the required vegetation to allow the septic tank to dispose of the wastewater in a drain field, a soakaway can assist in removing the waste safely. Which system is best for my property? If you are looking for a natural and cost-effective way to dispose of solid and liquid waste from your home or business, a septic tank, and possibly a connected soakaway depending on the land on your property, is what you need. If you are looking to divert pooling rainwater or surface water from flat or impervious surfaces, however, then a soakaway is the solution for you. Wildon UK are a leading UK supplier of wastewater solutions to all applications, including domestic, commercial, industrial and agricultural. We have over 20 years’ experience in our field and a highly trained and qualified team of engineers capable of handling installations and repairs of all varieties and scales. For more information on any of our services, get in contact today and we’ll be happy to offer our assistance.